NetNest offers a wide range of ID card printers, business card printers, and membership card printers to suit the needs of small and large businesses. We also offer a range of software, cards and printing accessories to ensure that you can get started with your new equipment right away, without having to source supplies from elsewhere. Save money in the long term by bringing your printing jobs in house, and get the highest quality printing results with equipment manufactured by the best brands in the printing technology industry. NetNest are the specialists in providing the best IT equipment, software and hardware to businesses and individuals around Australia. We aim to provide complete IT solutions, so you won’t have to shop around a number of different retailers to get everything you need to start printing your own business cards, ID cards, or membership cards. 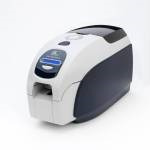 Zebra card printers & software - A Zebra card printer is a must in any business owner’s arsenal of IT equipment, and are so simple to use that anyone in your company can achieve the best quality print jobs, with little or no training required. With a range of different models available, we have something to suit your printing capacity needs and budget, and our accompanying software products make it easy to create business card projects quickly and easily. 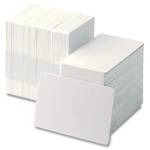 Zebra cards & laminate covers - We stock a range of different Zebra cards which are perfectly compatible with all Zebra printers stocked by NetNest. 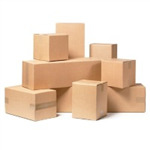 Choose a package quantity that suits your needs to ensure that your printing capacity is catered for. 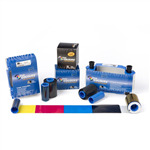 Printer ribbons - Keep your card printer in perfect working order with our replacement printer ribbons, which allow you to print cards with vibrant colours and sharp, easy-to-read text.